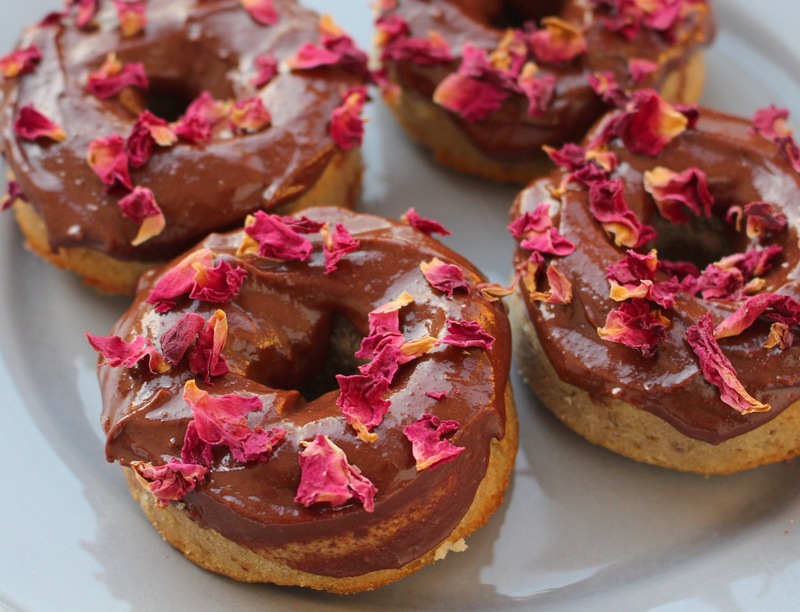 It’s Hanukkah this week, so to celebrate I wanted to make a recipe for guilt-free donuts. It might seem a little random but there is a reason behind it – the Hanukkah story talks of the miracle of the oil, whereby oil that would have only kept a special lamp alight for one day actually lasted eight days – and because of this it’s traditional to eat foods cooked in oil, like donuts or potato latkes.I’ve used a little coconut oil in these as a nod to tradition but unlike normal donuts these are baked (not fried) which makes them heaps healthier but just as yummy! 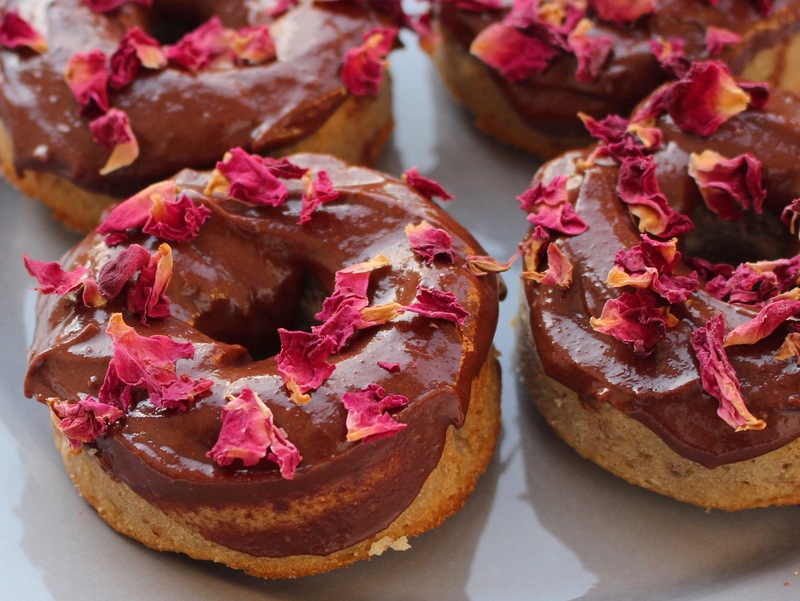 These donuts are so easy to make, don’t require a food processor (just a good old mixing bowl), only require 10 ingredients in total and only take 20 minutes to bake. Oh, and they’re insanely delicious too! Makes about four small donuts, just double or triple the quantities if you’re baking in bulk! To make the donuts, simply combine all the ingredients in a bowl and mix well until you have a lovely donut batter. Spoon this into a donut mould or shape them into rings with your hands. Bake at 180 degrees for 20 minutes, or until a fork comes out clean. Leave them to cool for an hour or so, then it’s time to make the frosting! In a bowl, just mix the frosting ingredients together until a delicious chocolatey icing forms. Pour this on top of the donuts and place them in the fridge for half an hour to allow the frosting to harden a little.